Researching today to see a better tomorrow! To provide comprehensive clinical research services to advance the science of medicine. Our dedicated and experienced medical professionals conduct human clinical research with compassion and respect for our research participants. We pride ourselves in providing timely, accurate data that ultimately enhances the drug development process improving lives through the advancement of safe and effective drug therapies. Excellence, innovation, compassion and leadership in overseeing enriched new product development for a better tomorrow. Integrity, honesty, teamwork, people, quality, and accountability to our participants and sponsors. Investigative trials are a series of tests and methodical research conducted under controlled conditions. The primary aim of clinical research is to generate relevant data that may be used to determine the efficacy of certain drugs and procedures and improve the treatment of challenging ocular diseases. We have participated in over 75 clinical trials in the areas of dry eye, glaucoma, external disease, cataract and corneal surgery. Most of our studies are investigating the effectiveness of treatment after safety has already been established. Why are investigative trials conducted? As corneal specialists dealing with challenging disease states, we are always looking for new treatment options to improve our patient care. 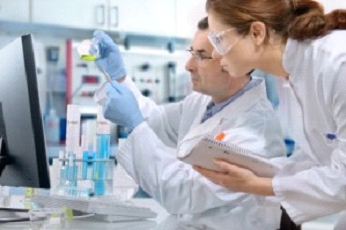 Investigative trials are conducted on people who are afflicted with these diseases and are willing and able to participate and voluntarily submit themselves to a series of clinical testing processes in order to improve care. We hope to make more medications and treatments available to our patients through this process. What results are expected from investigative trials? One of the main reasons for conducting investigative trials is providing the community with advancements in medical and surgical treatment options for those who are in most need of them. Where conventional treatment has failed, investigative trials could pave the way to a fresh approach at providing a cure. Doctors and research professionals work together to ensure that all parameters are followed and that all the subjects are closely monitored for both positive and adverse reactions. Results are then noted, screened, and studied and submitted to the FDA for further recommendations. Following the successful series of investigative trials, new therapies may gain approval through the FDA and become available to patients. Doctors will have the means to identify and consequently provide evidence of pioneering techniques that could prove to be more effective than the standard procedures currently used. Since the testing was done on individuals who were experiencing the symptoms first hand, establishing an improvement in their condition will serve to support the claims and objectives of the investigative trials. We appreciate the time and effort of our patients who participate in our research efforts to advance the state of medical and surgical eye care.